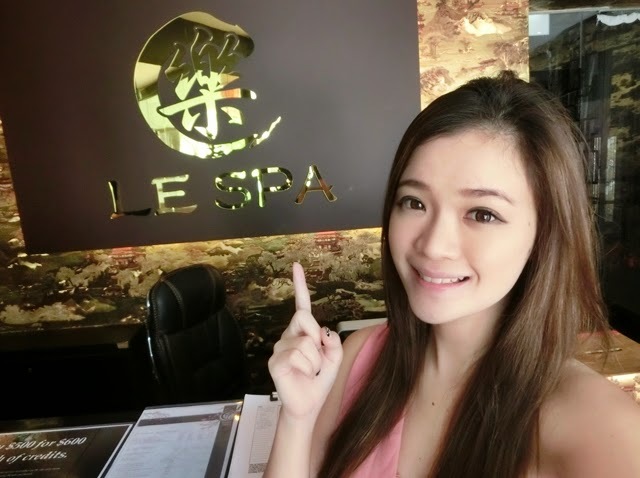 The Influencer Network and Le Spa have invited me for a pampering session last week. I am so blessed with this as it really came at the right time for me. I have been feeling lethargic and headache for that past few days! It was so bad that I had to eat panadol to stop it. Normally I will just let it be and try not to take panadol (I do not want myself to depend on panadol that much.) Wedding Stress? Hahaha. When I first entered, the first thing that caught my attention was the decorations. I was amazed by the traditional chinese style of the the layout. The place was nicely decorated with traditional chinese ornaments as you can see from the pictures. #throwback to dynasty century! Hurray to 中西合并! I was greeted by my massage therapist and she brought me to the room where I labelled it as the "Paradise". The one that I went was Single Room. Relatively small but very cozy I would say. It has everything that you will need. And Oh, they have couple rooms as well! I was given a choice to choose a 90 minutes session between Le Urban Fushion, Le Royal Balinese or Le Classic Swedish Retreats. In the end, I went ahead with Le Urban Fushion. 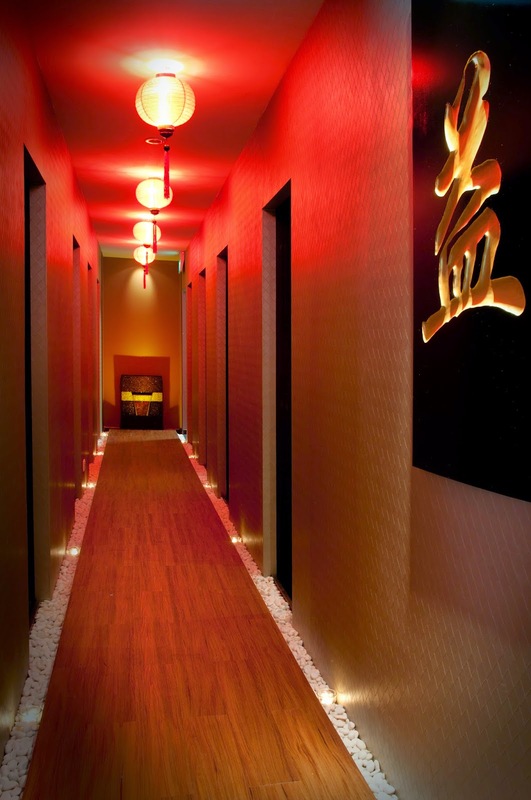 It starts off with an intense finger, palm and elbow pressure to release fatigue, followed by a deep and relaxing oil massage to sooth tired muscle. It was sooooo comfortable that I dozed off! It was really a rare occasion that I actually dozed off during massage. This show how much I have enjoyed the whole session! After the session, you may want to take a bathe as well. The toilet has everything you need. From towel, shampoo, hair dryers and etc. So thoughtful of them! THANK YOU LE SPA! Pardon for the just-wake-up look. Hahahaha! 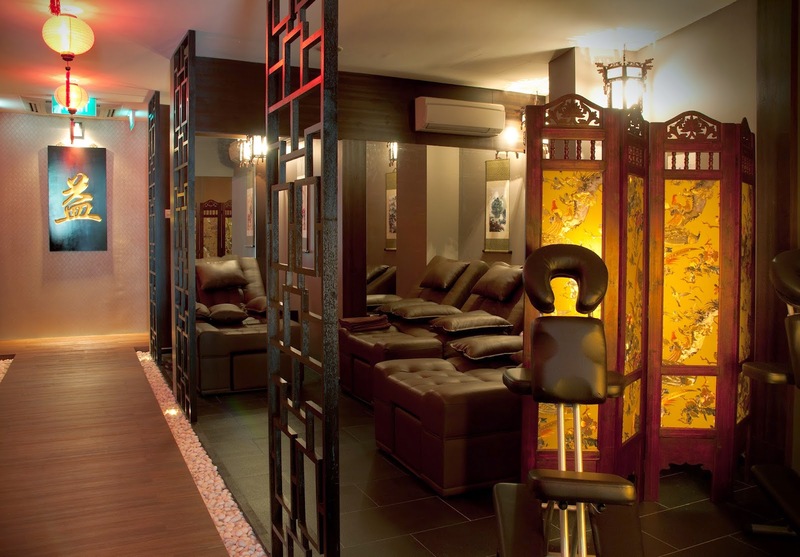 For those who are wondering what are the other services that Le Spa offers, you may want to visit here: http://www.lespa.com.sg/services/. And they are now having an opening promotion for only $38!! Please call to book your appointment at 6222 6803 now! 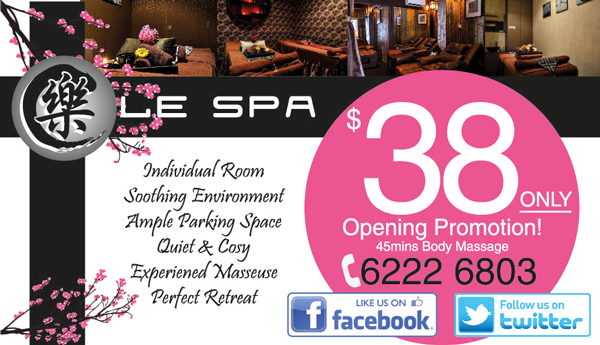 Or LIKE their facebook at https://www.facebook.com/lespasingapore to receive their promotion updates!